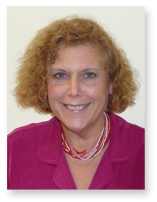 Dr. Jane Dickerman is a graduate of New York Medical College. Her internship in Internal Medicine was completed at Beth Israel Medical Center in New York. She served as Chief Resident at St. Vincent’s Mt. Sinai Medical Center in New York and has been in private practice for almost 30 years. She is certified by the American Board of Ophthalmology and she is a member of the American Academy of Ophthalmology as well as the Massachusetts Medical Society. Dr. Dickerman specializes in general ophthalmology, providing comprehensive eye care for entire families, in many cases for generations. She is well known for providing quality eye care with a touch of kindness. Through Dr. Dickerman, the latest and most up to date procedures and services are available.